Bee’s Milk Paraben Free is a natural dispersion of Beeswax in water. Bee’s Milk makes it possible to ‘Cold Formulate’. A formulator is able to get the benefits of Beeswax in a formulation without having to heat that phase of the formula. The lipid composition in Bee’s Milk closely, mimics the natural lipid composition of the skin, thus copying the skin’s own natural secretions, making Bee’s Milk natures emollient. 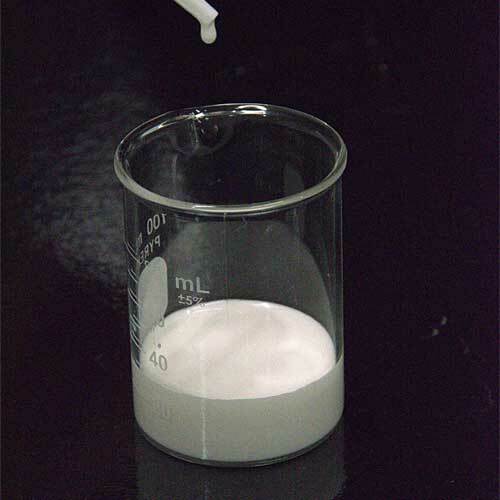 Bee’s Milk is stabilized, and is compatible with surfactants and other compounds of high ionic strength.